Do your teeth seem to be getting longer? Are the gums tugging away from teeth in a V-shape? Is your gum line rolling farther away from the teeth? 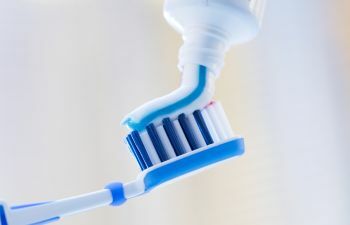 This could mean that you’re using a toothbrush with bristles that are too firm for your gums. No one really needs a brush labeled “medium” or “hard.” “Soft” will do the job just fine. Gentle bristles do a better job at wicking away dental plaque and they won’t irritate the gums as much. If you brush with a heavy hand, then you could start wearing away your tooth enamel. Aggressive and repetitive motions over the surface of teeth can wear grooves into them. Lighten up! You may find that switching to a powered toothbrush will help you clean your teeth with less force. Check your toothbrush for splayed bristles. If they flatten out within days of using a new brush, that’s also a sign you brush too hard. Your toothbrush clearly isn’t doing its job if you brush at least twice every day and still have copious amounts of debris. Perhaps an automated toothbrush will get you a deeper clean. Or maybe a smaller brush head will enable you to access those hard-to-reach areas. Get personalized advice for your brushing and flossing routine right here at Columbia Dental Center. At your next dental visit, we’ll point out signs that you need a new toothbrush and show you how to reverse the damage. Contact us today to plan your appointment.